Hailed by the Chicago Tribune as “a gifted young pianist who is clearly going places,” 22-year-old Ji has a compelling musical presence and a career that began at the age of ten, when he was the youngest pianist to win the New York Philharmonic’s Young Artists Competition, resulting in a performance at Avery Fisher Hall under Maestro Kurt Masur. Ji’s 2013-14 season features a performance of Beethoven’s Piano Concerto No. 4 with the Victoria Symphony, as well as recitals at the University of Alabama’s Alys Stephens Performing Arts Center, the Harriman-Jewell Series, Philadelphia’s Morning Musicales, the Buffalo Chamber Music Society, Mary Baldwin College, St. Vincent College, the Evergreen Museum and Library, the Port Washington Library, the Waveny Chamber Music Festival and the Brevard Music Festival. This year, Ji makes his New York recital debut at Merkin Hall and in his Washington, D.C. debut at the Kennedy Center on the Young Concert Artists Series. Ji has appeared as soloist with orchestras including the Toronto Symphony under Peter Oundjian, the Nashville Symphony, Bangor Symphony, Fairfax Symphony, New Haven Symphony, New Jersey Symphony, Santa Rosa Symphony and Charlotte Philharmonic. He has also performed in four-hand recitals with Marika Bournaki at the Seoul Art Center and with Charles Wadsworth in a chamber music program of Charles Wadsworth and Friends. Ji has recorded two CDs: Bach Exhibition on the Credia label, and Lisztomania with Credia/Universal Music. Well-known in his native country, Ji performed Korea’s first outdoor classical concert as soloist with the BBC Symphony under Jirí Belohlávek; and performed in Seoul with world-renowned ballerina, Sue Jin Kang and dancers from the Stuttgart Ballet. Ji’s creative vision to make classical music accessible to young people led to his “Stop & Listen” outdoor “guerrilla” performances in 2010, during which he worked with renowned Korean pop-artist Tae Jung Kim to design the “Ji-T” piano, bringing classical music to the public on the busy streets of Seoul. He also collaborated with the Japanese electronic/house music singer FreeTEMPO. From 2008 to 2013, Ji performed as a member of the Ensemble DITTO in Korea and Japan with violinist Stefan Jackiw, violist Richard O’Neill, and cellist Michael Nicholas. As a winner of the 2012 Young Concert Artists International Auditions, Ji was also honored with seven YCA prizes: the Sander Buchman Award, the Slomovic Concerto Prize, the Korean Concert Society Prize, and four concert prizes: the Harriman-Jewell Series Prize, the Bronder Prize for Piano from Saint Vincent College, the Tannery Pond Concerts Prize and the Usedom Festival Prize in Germany. Ji began playing the piano at age five. At nine, his family relocated to New York, where he studied at the Music Preparatory Division of the Mannes College with Yuri Kim, and later at The Juilliard School’s Pre-College with Yoheved Kaplinsky. 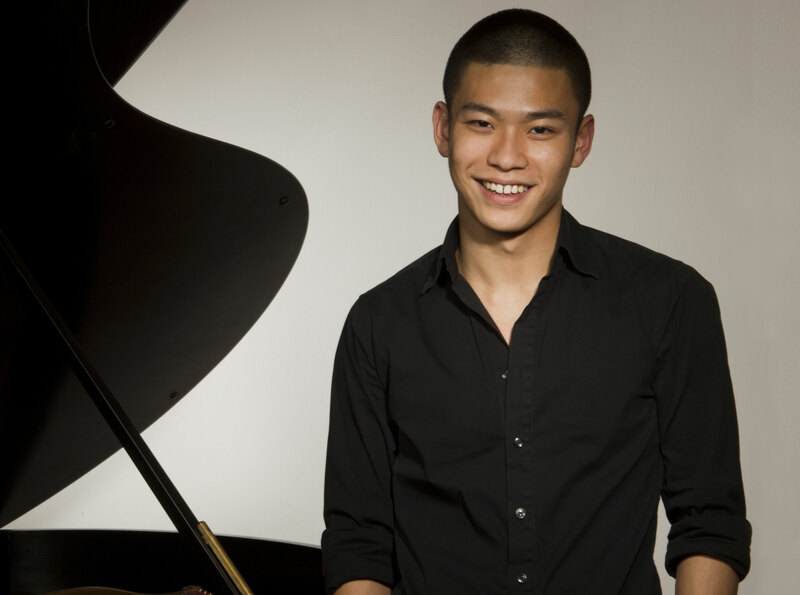 He is currently working with Choong-Mo Kang at The Juilliard School.